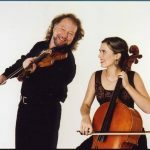 Next Stage Arts Project and Twilight Music present an evening of traditional Celtic and folk music from Ireland and New England by County Clare-based trio Socks in the Frying Pan and fiddler/singer Zoe Darrow at Next Stage on Sunday, March 24 at 7:30 pm. Socks in the Frying Pan is a multi-award winning trio from the west coast of Ireland, the universal hub of Irish traditional music. Their dynamic vocal harmonies, virtuosic musical ability and onstage wit have captivated audiences the world around and earned the band critical acclaim and accolades including the Irish Music Association “New Band the Year” award. With their personal flair, contemporary style and energetic approach to music, Aodán Coyne on guitar and vocals and brothers Shane and Fiachra Hayes on accordion, fiddle and banjo make traditional Irish melodies their own. 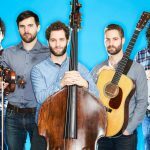 Next Stage Arts Project and Twilight Music present contemporary bluegrass and folk quartet The Stockwell Brothers at the Next Stage Cafe on Saturday, March 16 at 7:00 pm. To celebrate St. Patrick’s Day, JD McCliments Pub will offer an Irish dinner starting at 6:00 pm, while the Stockwells will explore the connections between folk/bluegrass music and the music of Ireland. 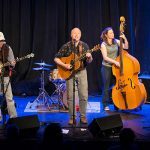 Bruce, Barry, Alan and Kelly Stockwell’s music spans traditional and progressive styles, but their trademark acoustic sound features new singer/songwriter material recast with banjo, alternative rhythms and three-part harmonies. West Brattleboro, Vt. — At 7:30 p.m. on Saturday, March 9, tri-state fans of Early Music are invited to All Souls Church in West Brattleboro for “Love’s Harvest,” a benefit concert of airs, arias, madrigals, and tonos by the Night’s Black Bird trio from Allentown, Pennsylvania. 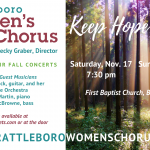 Admission at the door is $15 per person and includes a gala reception; proceeds will help support ASC community-based programs and the Meeting House. 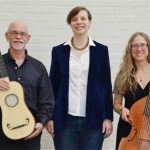 Guilford, Vt. – Friends of Music at Guilford, now in its 53rd concert season, presents “Stolen Jewels,” its Midwinter Musicale, on Saturday, February 23, at 3:00 p.m. in the sanctuary of Guilford Community Church. 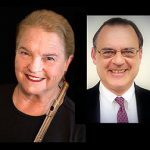 Alison Hale, flute, and Christopher Lewis, piano, both busy teachers and guest artists, will perform four romantic duets transcribed for flute that were originally scored for other instruments with piano. 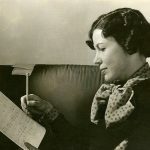 The program of chamber favorites includes the Brahms Sonata in F minor for clarinet, the Schubert Arpeggione Sonata for Cello, the three Romances for Oboe by Schumann, and the Sonata in A Major for violin by Fauré. 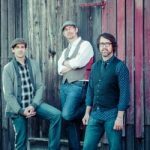 Next Stage Arts Project and Twilight Music present folk/rock quartet The Sweet Remains, featuring singer/songwriters Rich Price, Greg Naughton and Brian Chartrand, at Next Stage on Sunday, February 24 at 7:30 pm. 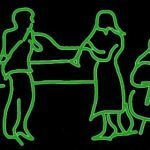 Based in Burlington, VT, NYC and Phoenix, AZ, the trio has formed a unique musical kinship around three-part harmonies and shared songwriting that transcends geography and three solo careers. Celebrating 10 years together and over 30 million Spotify plays in 2018, Rich, Greg and Brian each bring strong lyrical and melodic writing and lush harmonies to The Sweet Remains. 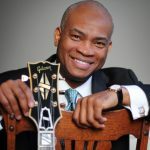 Rich and Greg first started collaborating for Rich’s 2004 Geffen Records debut – a CD that spawned his single “I’m On My Way,” featured on the multi-platinum “Shrek 2” soundtrack. 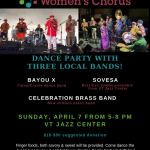 Next Stage Arts Project and Twilight Music present a dance party/concert featuring The MILES Band at Next Stage on Saturday, February 9 at 7:30 pm. 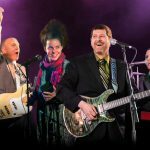 Next Stage rolls back its portable front row risers to double as a dance hall and concert venue, with a spacious dance floor between the stage and raked theater seating, for this special evening of funk, soul, rock & roll, folk/rock and reggae classics and contemporary hits. 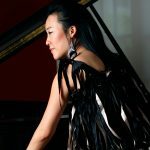 The Vermont Jazz Center welcomes Helen Sung and celebrates her Chamber Music America sponsored project, “Sung With Words” on Saturday, January 19th at 8:00 PM at the Vermont Jazz Center. The pianist/composer will present a new body of work that embodies the alliance of poetry and jazz and then takes it to new places. The performers in the octet are Helen Sung (piano and composition), Jason Palmer (trumpet), John Ellis (woodwinds), Carolyn Leonhart and Alina Engibaryan (Vocals), David Wong (bass), Kush Abadey (drums) and Felipe Fournier (percussion). One of the by products of the new ban on Baby, It’s Cold Outside is that I can’t stop humming it. It’s so eminently hummable. 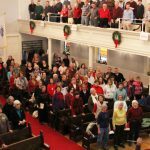 It doesn’t help that we listened to four hours of Christmas music last night, or that I’ve heard everyone from Dolly Parton to Dean Martin sing it in cover versions going back to the 1940s. 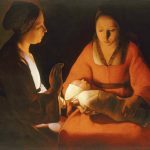 In our extensive seasonal music collection, we must have at least a dozen versions and there are many more. 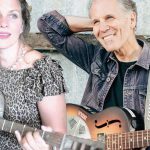 Next Stage Arts Project and Twilight Music present award-winning contemporary folk singer/songwriter Antje Duvekot and Americana, roots and acoustic blues singer/songwriter Brooks Williams at Next Stage on Friday, December 7 at 7:30 pm. Antje Duvekot is a German-born, American-raised singer/songwriter whose songs have been critically praised for their hard-won wisdom, dark-eyed realism and street-smart romanticism. Her bicultural upbringing and relative newness to English have helped shape her unique way with a song, giving her a startlingly original poetic palette. This year’s program is dedicated in memory of Neil Quinn, who passed away in mid-September. He served as Guilford’s town moderator for many years and was a long-time member of Christ Church Guilford Society, the nonprofit group that maintains this historic site, performing much of that work himself. An avid cyclist and skier, he founded and ran the West Hill Shop in Putney from 1971 through 2004. 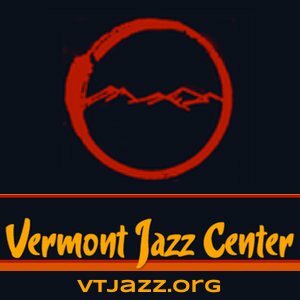 SAXTONS RIVER, Vt. – Main Streets Arts ushers in the holiday season with a benefit concert by Cameo Baroque Saturday, Dec. 1 at 7:30 p.m.
With a theme of Wintertide, the four-piece group will offer music by English, Italian and German composers such as William Boyce, Antonio Caldara, Georg Philipp Telemann, George Frideric Handel and Tommaso Albinoni. Members of the quartet performing on period instruments are Beth Hilgartner, recorder and voice, Leslie Stroud, traverso (Baroque flute), Ernie Drown, harpsichord, and Laurie Rabut, viola da gamba. The Lonely Heartstring Band is Boston-based, Berklee College of Music graduates George Clements (guitar, vocals) Patrick M’Gonigle (fiddle, vocals) Charles Clements (bass, vocals) Matt Witler (mandolin) and Gabe Hirshfeld (banjo). 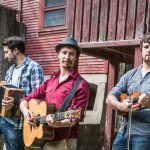 Their music is a combination of old and new styles, melding the sounds of traditional bluegrass with modern songwriting and arranging. Halloweeny Ukulele Flash Mob! Friday! 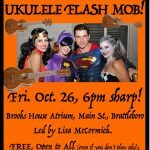 Third Annual Halloweeny Ukulele FLASH MOB! All are welcome for this fun and spooky community sing-and-strum-along. All are welcome, whether you play ukulele or not. Brooks House Atrium, Main St. Brattleboro (across the street from The Shoe Tree). Free, Accessible, Presented by Lisa McCormick. This coming Friday, Oct. 26. Music from 6:00-6:30 pm. Costumes encouraged!